The fourth child, and third son, of Ephraim Aldis and Eliza Patten, Ernest was born in Bexley, Kent, but spent his adult working life in London. He seems to have spent most, if not all, of his working life as coachman, subsequently chauffeur, to Lord Swaythling whose London home was in Kensington. The family’s country house estate was Townhill in Southampton, and Ernest and Alice spent their retirement years in a cottage there. Alice Henwood Earl was the daughter of Frances Caroline Earl, who worked as a cook in the homes of wealthy families in West London. 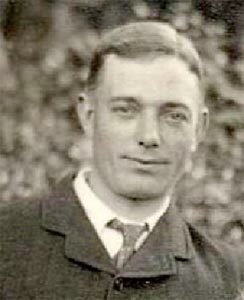 Adopted as a baby by James and Elizabeth Lawn, Alice married Ernest Aldis in 1899. Their two sons, George Mafeking and Richard Walter, survived; but a daughter, Elizabeth Alice, died in infancy. Alice and Ernest celebrated their golden wedding anniversary in 1949 when, respectively, they were 78 and 80. The second child of Charles Day, stonemason, and Mary Eliza Hammett, Charles John was the grandson of a more notable stonemason, Charles Day, whose long career included work on the Palace of Westminster in the 1840s and, as a foreman mason, on the Britannia Bridge over the Menai Strait between 1845 and 1850. Charles John was a dock labourer in the East End of London where he and Emily raised a family of 7, of whom 5 survived. Emily Rebecca was the second of eight children born to John Morris and Mary Jane Ellis in Littlebourne, Kent. She descends from at least seven generations of Kentish Morrises with an interesting addition of Huguenot silk weavers in the maternal line from the 18th century. Registered at birth as Emma Rebecca, she nevertheless married Charles John Day as Emily Rebecca in the parish church of St Peter, Stepney, London, in 1899. The marriage, which lasted for the rest of Emily’s life, produced seven children. Emily died, aged 70, in 1936, the death being registered by husband Charles.